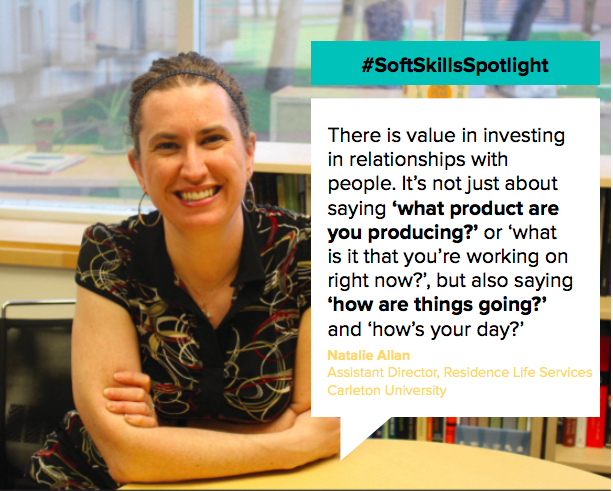 Natalie Allan is the Assistant Director of Residence Life Services at Carleton University, one of Canada’s leading Universities in student support, learning and innovation located in Ottawa, Ontario. With over 10 years of experience in Residence Life, Allan oversees Carleton’s Residence Life Program, all while juggling life at home with her six-year-old triplet boys. First off, briefly describe your current role. I am the Assistant Director of Residence Life Services at Carleton University. I oversee the Residence Life Program, which encompasses everything from student conduct to hiring, training and developing our student staff. Anything that happens in residence while students are here floats through either my desk or my team’s. We are focused on student learning outside of classrooms and have taken a curricular approach to providing experiences and learning to our residence students. What projects or initiatives are you currently working on? The first one is student learning. We have decided to take a curricular approach to residence life, so we are focusing more on learning, community and sense of belonging for our residence students. Our aim is to help students develop resilience, community connections and positive relationships. The other project that I am excited about is our new program called “Mental Wellness Mentors”. The idea is that we are going to match students who are facing mental health challenges, homesickness or trouble transitioning with a mentor who they are going to meet with on a weekly basis to receive help and support. Which soft skills do you believe have most contributed to your success? I think that adaptability is one of my strongest soft skills. I always say that the only constant is that everything is always changing. One thing that I really enjoy about my role is that every day is little bit different. I can look at my calendar in the morning and think “here’s where my meetings are, this is what I’m doing and here’s who I’m connecting with”, but in the drop of a hat, my day can change completely. We’re dealing with a student population, so it can be anything from a wellness check to an emergency with our infrastructure – I can’t be in a meeting if there’s a flood in one of our buildings or if we can’t find one of our students. Having that adaptability is key for me to be able to recognize when I have a plan and it isn’t working or if I need to throw out that plan because something else has happened. If you are too structured or rigid, you are not going to be successful in this role. I also learned through one of our professional development exercises that another one of my strengths is creative problem solving. I learned that I can not only generate ideas, but I can also implement them. How did you develop these skills? I would also say that being adaptable is something that I developed because I had to. I have six-year-old triplet boys, and for somebody who likes to have a plan and be organized, I was able to use what I learned at work to be able to jump in and say “here we go”! While it’s not necessarily career related, it has affected the way I do things in terms of being adaptable and taking what life throws my way. How has the role of soft skills changed throughout your career? I originally came to Carleton for their journalism program and I wanted to be an entertainment night reporter, but I ended up realizing that I’m not really good at cold-calling interviews. However, I really enjoyed understanding why people do what they do, so I changed my program to Mass Communication and studied law at the same time. For a large portion of my undergrad, I thought I was going to be a lawyer. 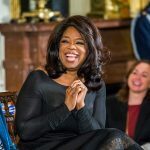 I remember sitting at a table, opening up my first LSAT training book and thinking “nope – this is not happening for me!” I closed the book and thought that teaching would be a good avenue for me because I liked learning and understanding people, so I applied to a couple of teacher’s colleges. All the while, I was also working in Residence Life as a student staff member. I realized in that moment that Residence Life could be a profession, so I decided that I wanted to be a Residence Life professional. As luck would have it, I was then presented with a full-time job opportunity in Residence Life that involved student learning, community development and student engagement and training. After about seven years in that role, my current job opportunity came up when the person before me had left. Now that I work in Residence Life, I think it’s funny that I wanted to be a defense lawyer and work with young offenders and also wanted to be a teacher. I feel like in this role I combine those two loves because I’m dealing with student conduct, learning and mental health. On the law side of things, I wanted to provide young offenders with the opportunity to learn from their mistakes, be given a second chance and receive support and feel a sense of belonging while digging into why those things happened. I think a lot of that happens in the role that I do. Thinking about teaching, a lot of it connects to training, learning and development. I would describe myself now as an educator – I just teach in a different classroom. Instead of desks, we have residence community, beds and study lounges. I still think that education is what I always wanted to do and I get to do it every day in my current role. Have you had any mentors that helped you develop your soft skills? I would say from the side of who you are and how you develop as a person, a lot of it came from my grandparents. I was lucky enough to have a childhood where I had four grandparents who taught me the value of hard work, empathy, compassion and giving back to your community. On the career side of things, I’ve had previous supervisors give me a lot of opportunities to take projects and run with them. More recently, I have had two mentors that have helped me see myself as an educator and be able to understand how things have come about and make meaning for me. One person who has definitely been a mentor for me is Dave Shorey from Wilfrid Laurier, who has helped me see what we do as student learning. Another individual is my current supervisor, Laura Storey, the Director of Housing and Residence Life Services at Carleton. She started about three years ago and has been able to help me see how to slow down and catch my breath even though there is always something going on. How do you slow down and manage stress? To help our residence students be mindful and remind them to take that breath, we have done Koru, which is mindfulness for emerging adults here in residence. Which soft skills do you look for most in potential hires and current team members? We hire for attitude and train for skill. Before we start our hiring process, we think about what we’re hiring for, what we’re training for and what we’re coaching for. We make sure that we focus on approachability, positivity, enthusiasm and lifelong learning. We ask questions such as: are they trainable? Are they coachable? Do they have critical thinking skills? Do they have problem solving skills? Are they self-reflective? Are they a team player? Do they display compassion? These are all skills that we look for. I’ve always said that I can’t teach attitude, but I can train somebody on the transactional things. I can’t train you to be enthusiastic or be a lifelong learner. How do you balance your own strengths and weaknesses with the competencies of your team? The first part is knowing what your strengths and developments are, and making sure that you know the same of your team. It’s also important for the people you’re working with know what their strengths are and know what they’re not so great at. You also have to make sure that you hire the right people, and once you’ve hired the right people, you have to trust that they’re going to get the work done and they have the same end goal in mind. For us, that is our students and student learning. If you have that in mind, then you also need to give your team some parameters of where they can go. I’ve always said that it’s easier to rein somebody in than to try to motivate them. If somebody takes the ball and runs with it and they go too far or they go over here instead of over there, it’s easier for me to correct them and say “actually, what I meant is this” or “let’s try this instead”, than to say to somebody “actually, can we even just get the ball rolling?” If the ball is rolling, we can move it, but if I can’t even get that ball rolling, it’s a bigger problem. If we have the same end goal in mind, it doesn’t mean our paths have to be the same as long as we get there. How do you create a positive culture and work environment for you and your team? I can think of a couple of different ways. I like having the ability to give back to my community and show how as a team we can give back to the community. At the end of June, we did Play It Forward with our team where we went out into our Carleton community and Greater Ottawa community and did random acts of kindness. Last year, our team also went to the Youth Services Bureau in Downtown Ottawa, knowing that they deal with a demographic that is similar to the demographic we have here in residence – but we’re talking about homeless youth and addictions. I felt that it was really important to bring our team down there to give back and see how great our students have it. Being able to talk about it and the positive energy that was in the room when we got back was unbelievable. It was definitely a great experience not only for our team, but also for our community. Where do you think organizations and individuals are currently lacking in soft skills? In the context of Residence Life, which is very student-focused, I notice that there is sometimes a lack of seeing the person in front of you. There is value in investing in relationships with people, investing in your team and investing in the human side of people. 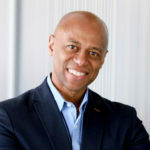 It’s not just about saying “what product are you producing?” or “what is it that you’re working on right now?”, but also saying “how are things going?” and “how’s your day?” I think seeing that human side helps people feel like they belong to the community, whether it’s our team or with our students. You will get more out of a person if you have a genuine care for them. Everybody tries to do some division of work and home, and if things aren’t going well at home, it’s going to affect your work and if things aren’t going well at work, it’s going to affect your home life. It’s hard to be able to do that split, so it’s important to see the human side too, because whether we like it or not, we’re bringing it to the table. Overall, I think that the human side of things definitely gets lost. What advice would you give younger people reading this? Make sure you spend some time getting to know people and display empathy and compassion towards others in a way that’s not disingenuous or that feels like you are advancing your own agenda. It’s funny that I’m going to say this because I’m the worst for it, but take your own advice. If somebody walked into my office right now and said “Natalie, I feel really awful – I have a migraine or I have the flu,” I would say in a heartbeat, “go home, feel better, I’ll see you tomorrow”, where I don’t know if I would give myself the permission to do the same. Make sure you’re treating yourself the way you treat other people, and give yourself permission to do that. So take your own advice – if you would tell that to somebody else, why couldn’t you tell that to yourself? The #SoftSkillsSpotlight campaign features successful individuals and highlights the soft skill(s) they used to get there. Interested being featured or have someone you want to see featured? Contact us.